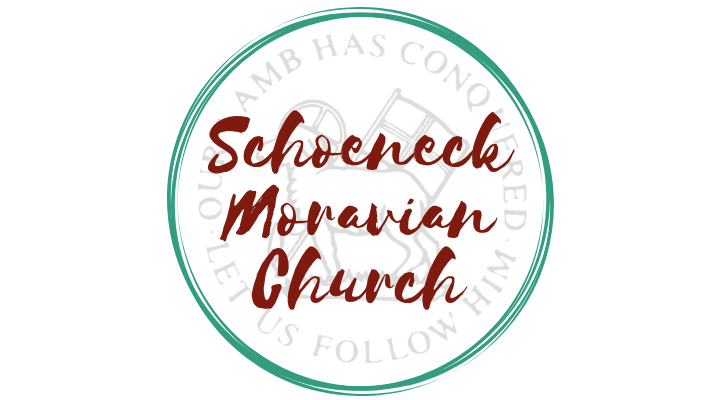 At Schoeneck Moravian Church, we like to think of ourselves as a community – a community that is centered in Jesus Christ as our Lord and Savior. As a community of faith, we worship together, study together, serve together, care for one another in times of need, and pray for one another. We endeavor to be a genuinely friendly church. Visitors are always welcome at Schoeneck Moravian, and we want everyone to feel a sense of acceptance and belonging as we encourage one another in our spiritual journeys. Children and young people are a focus for us, and we place a strong emphasis on our Sunday School, youth ministry, and Christian Education programs. Checkout our to learn more about how we learn and serve together. Calling all the “manly men” of Schoeneck. It’s that time of year again when we need your time and talent to serve as the Easter / Resurrection Sunday Breakfast Crew. Speak with Bro. Jim Makovetz. or Bro. Lou Dishong for more information. The 13th Annual International Moravian Women’s Conference, “Unleash Your Power” will be June 20 – 23. There are over 20 programs and workshops to choose from based on your spiritual needs. Enjoy the Share and Sell Market with crafts and trinkets from various churches and missions groups. Friday evening, you will be invited to get dressed up for a dinner gala which is an evening of excellence showcasing our cultural and international diversity. Open to women of all ages. (click for more information) or call the church office at 610-759-0376. Stay up to date with every worship, fellowship, and special events. Here is a full list of all the ministries offered at Schoeneck. All the information you need for the mid week lenten services may be found below. Schoeneck Moravian Church is a 256 year old congregation who has consistently placed strong emphasis on Christian Education. We offer Sunday School for all ages, dynamic messages with practical biblical applications, Jr. Youth, Senior Youth, and Young Adult Ministries. Bible study opportunities are also available. Click, “Ministry Opportunities,” to get connectted with a ministry that will help you grow in your faith and serve Christ.